1) Motivation – Discovering and working with what motivates you to make permanent, positive changes. 2) Individualism – Providing personal nutrition plan tailored to your own individual needs and help you in overcoming any barriers. 3) Knowledge – Providing the education and tools you need to succeed in your health goals. 4) Encouragement/Support – Providing the support and accountability needed through your health journey and helping with any questions that emerge along the way. 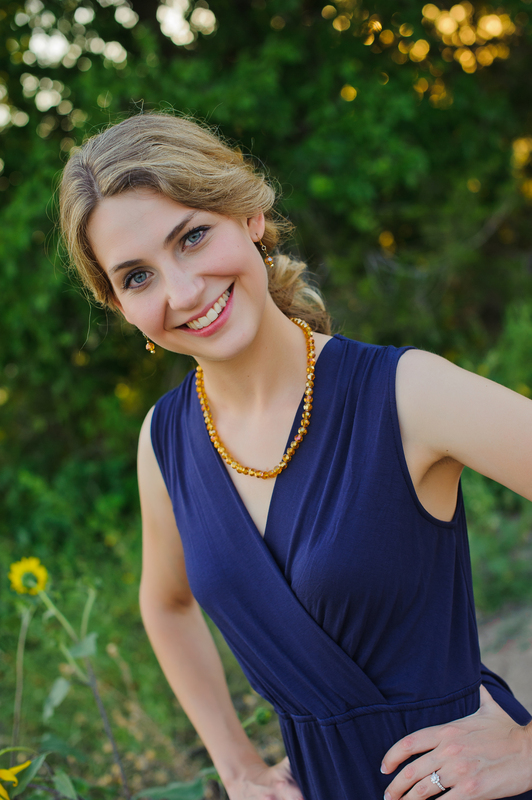 Elissa Lueckemeyer RDN, LD, owner of Food 4 Success, LLC, is a registered and licensed dietitian providing nutritional counseling and education to the New Braunfels and San Antonio areas. She holds a Bachelors of Science degree in Nutrition with a minor in Chemistry from Texas State University-San Marcos and graduated from Texas State University’s Dietetic Internship in 2010. Elissa uses her experiences as a former ballet dancer and her education in dietetics to provide the tools for a healthier lifestyle to men and women of all ages and activity levels. Elissa is a member of the Academy of Nutrition and Dietetics, South Texas Academy of Nutrition and Dietetics and the Texas Academy of Nutrition and Dietetics. She has experience in many clinical settings including long-term care and rehabilitation, as well as in personal nutritional counseling, using medical nutrition therapy for the prevention and treatment of diseases such as diabetes and heart disease. She is a firm believer in all natural, whole foods, and that a healthy eating lifestyle should be about the small, positive changes rather than achieving “diet perfection.” She does not advocate fad diets and has a passion for educating with the most recent and accurate information to improve health, well-being, and quality of life. Elissa has numerous online and print nutrition publications including Moxie Magazine, TheNest.com, LiveStrong.com, Modern Mom Nutrition, and the Houston Chronicle, as well as maintaining her own nutrition blog, Wholesome Simplicity. She has served as the company dietitian for Ballet San Antonio and as the lead dietitian at New Braunfels Regional Rehabilitation Hospital. She is located at the offices of Lone Star Medical in New Braunfels, TX to help individuals, families, and businesses meet their personal health goals.